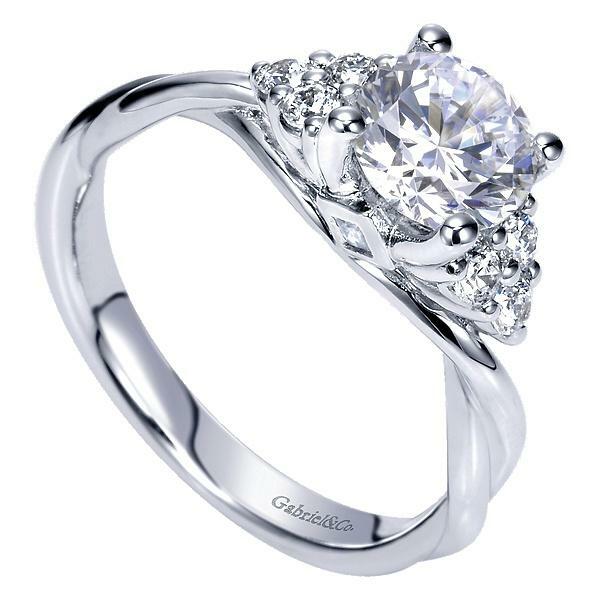 14k white gold and diamond semi-mounting. 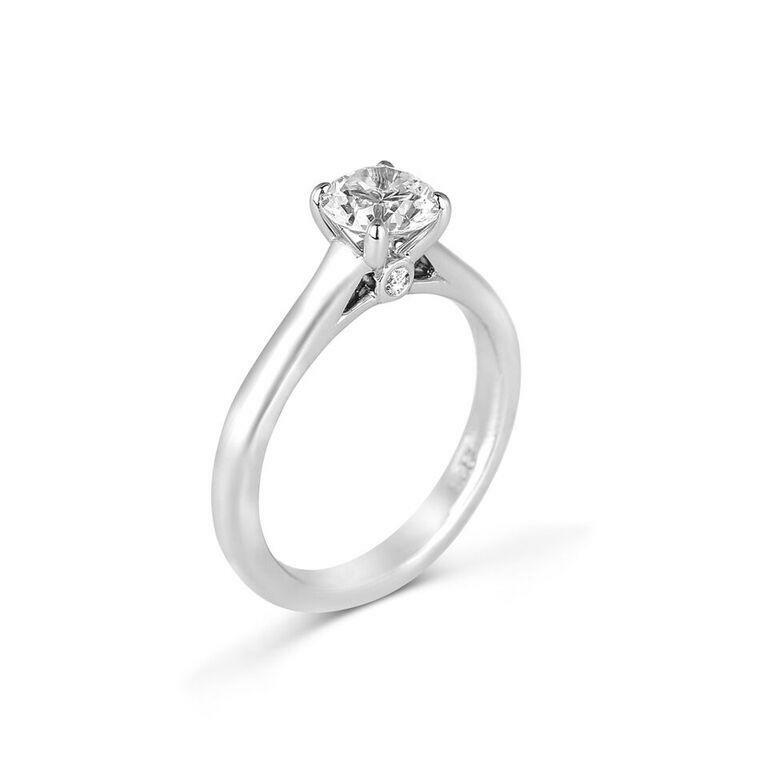 The mounting features .45ct of round diamond melee in a prong set fashion. 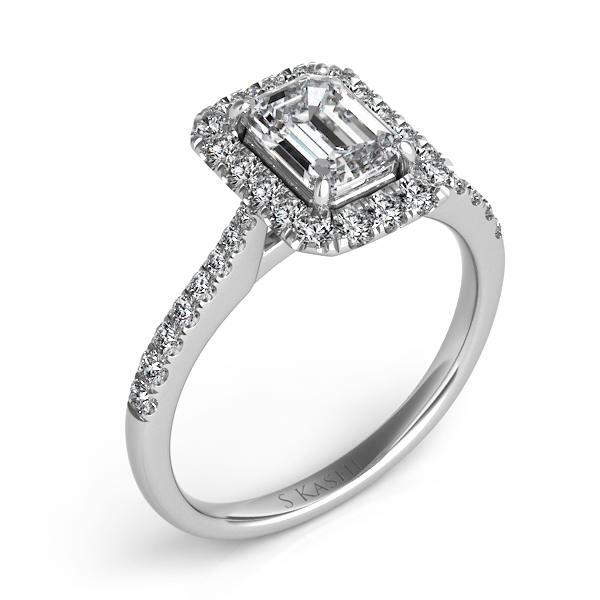 Note: Ring is in stock for a 1ct emerald cut diamond in a finger size 6.5. Other diamond shapes sizes and finger sizes can be ordered.